​Our only fundraising event of the year comes each fall at our Dinner & Auction. We have a wonderful time with our live and silent auctions and reconnecting with Alumni and Friends of OC. There's always a great meal while we award our Lawson Award to an outstanding North Texas alum and honor OC faculty members. ​These are our biggest recruiting events of the year. 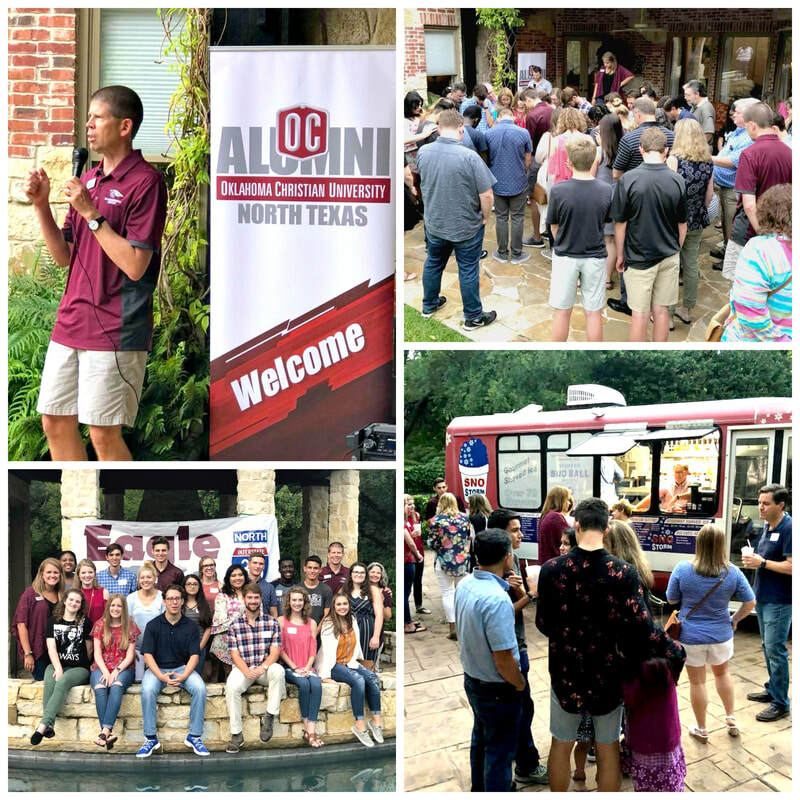 Usually in the home of one of our alumni, we host students and their families along with North Texas Alums for snacks and an informal meeting with our recruiters and OC admissions staff. Before our Eagles head Home to OC we send them off in style with a Texas size party. We have an informal meal, award our scholarship winners, play a game, have some entertainment and a few prizes. Most importantly we pray over them as they begin this new and exciting chapter of their lives at OC.